The EyeOn™ Baby Monitor range has been specially designed to help you keep an eye on your baby or toddler, night and day. 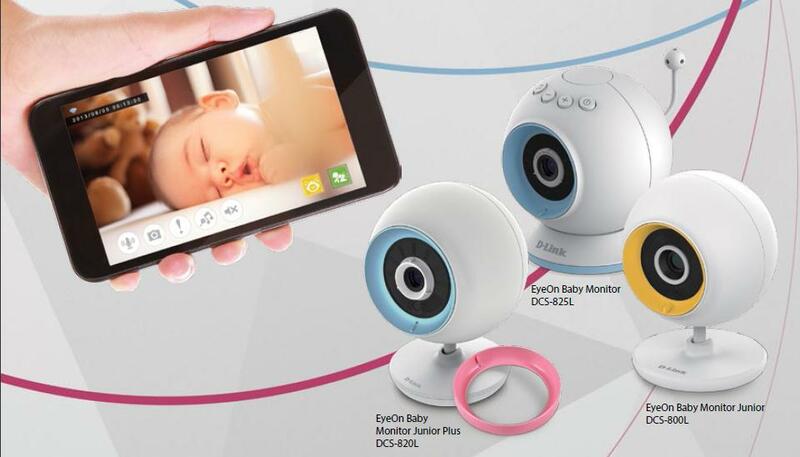 The EyeOn™ range offers a baby monitor to suit any parent’s needs and budget. With more functionality than ordinary audio monitors, the EyeOn™ Baby Monitor range brings peace of mind for parents. These portable cameras transform your smartphone or tablet into a versatile,yet easy to use baby monitor. 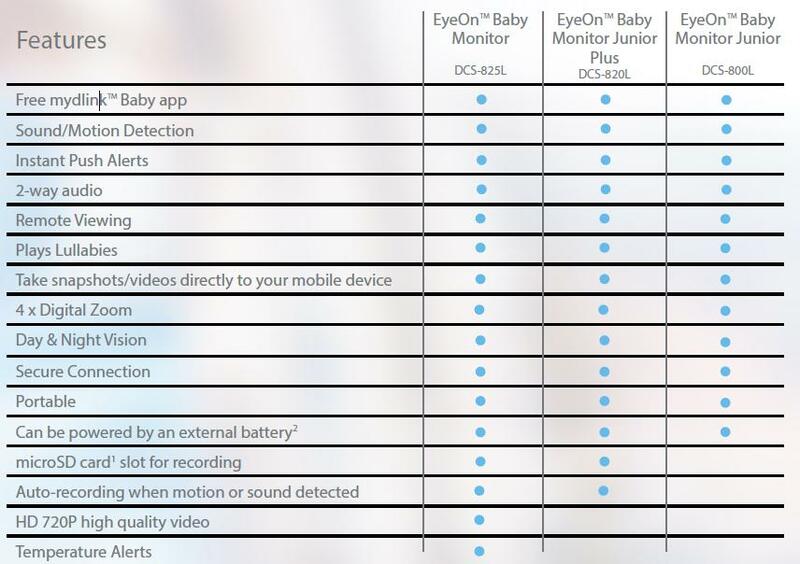 Connect to the monitor wirelessly at home or through the Internet from anywhere at any time, so you can check on your infant no matter where you are. The monitors are packed with features to help you care for your child, including motion, sound, and temperature monitoring, as well as night vision, automatic snapshots and recording. They can even play gentle lullabies to help ease your baby to sleep! “The children love being out in the garden, but I can’t be out there with them every second of the day. The EyeOn™ Baby Monitor is portable so I can still keep an eye on them playing,while I’m in the kitchen. Getting started is a snap; the free mydlink™ Baby app for your mobile device not only guides you step by step through the setup process, but also gives you an easy to use interface for all the advanced features of the EyeOn™ Baby Monitor range. Check on your baby at a glance, pinch to zoom in and out with ease, or play one of five gentle lullabies to soothe your child. You can even take snapshots and video clips and save them directly to your mobile device!